I've been thinking a lot about innovation recently for a number of different reasons. Over the last several weeks I've had the good fortune of spending time at two of the more innovative companies of our time - IDEO and Zappos. I also recently saw the news of the departure of the last digital executive at my former employer, who I helped bring on board as part of the company's then vision to bolster the ranks of innovative thinkers in and around games and technology. These examples show how innovation is either very easy or very hard to foster and maintain. First - a brief refresher on exactly what innovation means. According to our good friends Merriam-Webster (remember them?! 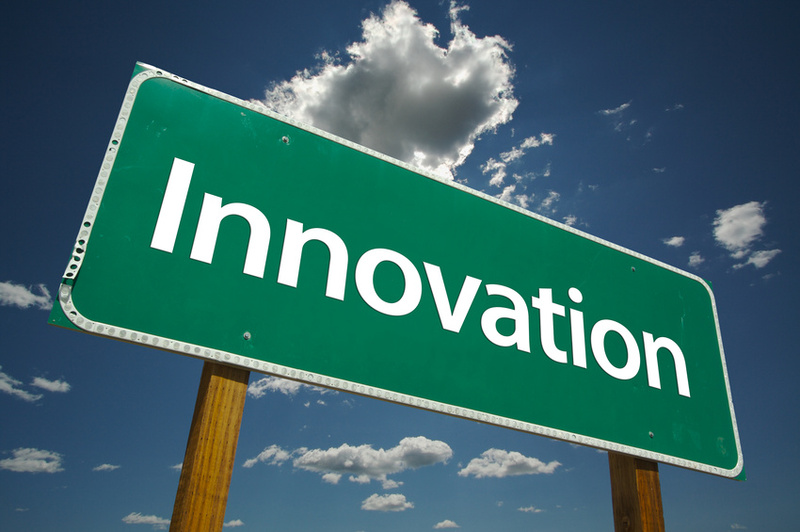 ), innovation is defined as "the introduction of something new." As someone who lives and works in the SF Bay Area, it's very easy to drink from the cultural Kool-Aid and get caught up in the notion that innovation is as natural as breathing. I guess it's why so many companies from around the world look in our direction when it comes to starting a business unit, acquiring talent, opening an office, etc. In addition to me having hung out the corporate shingle for GameStop back in 2011, the list of Fortune 500 companies with a meaningful presence in the area is pretty long - folks like Wal-Mart, Amazon, Samsung, Volkswagen to name just a few. The common threads with all of these examples are: each point of presence houses people and groups focused primarily on innovation; and the level of investment made to support efforts around innovation are significant. This then begs a question -- why doesn't every big company do the same thing?! It's worth noting that I've been at my share of big companies as a senior thought leader. In each case at a time when innovation was at the top of their priority list given that technology and other macro forces were threatening their incumbent business - whether that was video games on discs, subscription-based media or paper greeting cards. And in each case, the company's intentions were pure, but at the end of the day they each ran into the same ceiling when it came to their level of commitment, whether that be time, money or resources. It's important to note that each of these companies were publicly traded at the time (one has since gone private), so by definition the pressures of quarterly performance are inherently at odds with the long view associated with supporting innovation. Beyond just these three examples, another common trait that stifles innovation at most big companies is self-preservation. What I mean by that is any material effort, investment, resources and/or results put into or generated from efforts around innovation threaten the livelihood of the majority of existing employees and executives. It's easy to imagine the kind of closed door discussions that take place at many a corporate HQ when they see or hear that significant dollars are being spent on risky initiatives that may or may not pay off anytime soon, and meanwhile they're not getting those dollars to help keep their business line afloat. What usually follows is everything from passive acceptance to outright sabotage. Oddly enough, these are all legitimate reasons for stifling the creation of "something new" - we may not agree with them, but until we've walked a mile in the shoes of folks who are either dealing with the pressures of running a public company or the even bigger pressures of having their jobs potentially made irrelevant if that "something new" actually succeeds, it's very hard to pass judgment. Fortunately for all of us we have examples of companies (including the ones listed above) who show us that it is possible to be both big and innovative.